This summer, Voorhees student Trisha Nelson will travel to Peru, with VISIONS Service Adventures, an international community service program for teens. This summer, Voorhees student Trisha Nelson will travel to Peru, with VISIONS Service Adventures, an international community service program for teens. Nelson will join other high school students from around the world in Urubamba, the historic Incan capital, where they will live in the community, get to know the local customs and traditions and tackle ambitious service projects. In Urubamba, students will work side-by-side with local community members to construct rock and concrete irrigation canals. The canals provide efficient access to water for farmers as they face years of increasing drought. Students will also complete maintenance and expansion of VISIONS-built preschools in the Sacred Valley. This will be the 21st year VISIONS spends in Peru. Afternoons and weekends are set aside for regional travel and exploring the home-base area. 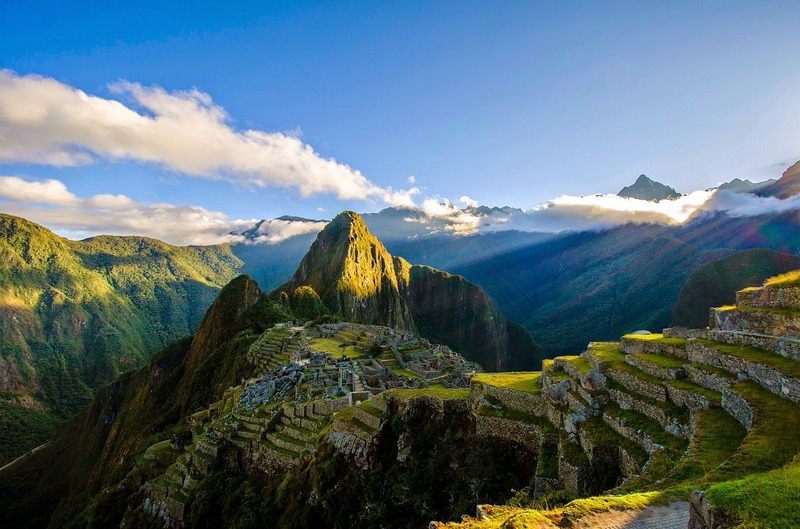 In Peru, this includes a trip to Machu Picchu and other ruins, visiting historic Cusco and hiking throughout the spectacular valley. The students will also have plenty of opportunities to practice their Spanish while they apprentice with local artisans, join pick-up soccer games and shop at the food market. All programs are overseen by adult leaders and long-time local partners, who guide and teach the students in hands-on construction and other development projects. Beyond completing service projects, the summer is an opportunity for students to explore the idea of community in both a local and global sense. VISIONS has been running high school and middle school volunteer travel experiences since 1989 and is well known for programs that are centered on community-driven projects in cross-cultural settings. Locations include Alaska, the British Virgin Islands, Cambodia, Guadeloupe, the Montana Blackfeet and Northern Cheyenne Indian Reservations, the Dominican Republic, Ecuador and the Galápagos and Peru.